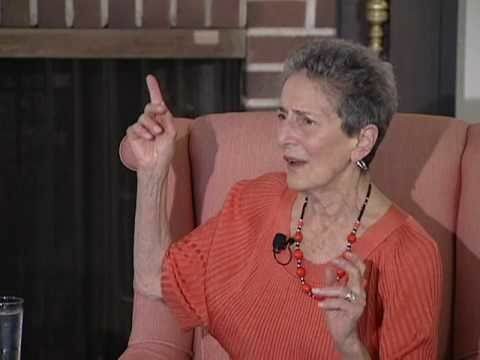 Natalie Zemon Davis , among our most distinguished living historians and past president of the American Historical Association, has written a heartfelt appeal to Chancellor Phyllis M. Wise at the University of Illinois, Urbana Champaigne, urging her to reconsider the firing of Professor Steven Salaita, a specialist in Native American Studies, for his trenchant criticisms of Israeli government policy toward the Palestinians of the Gaza Strip. As a long-time participant in the university world, I implore you to reverse your decision in regard to Professor Steven Salaita and now to recommend the approval of his appointment to the faculty of the University of Illinois at Urbana-Champaign. I write you as an admirer of the remarkable achievements of the historians, literary scholars, and anthropologists at the University of Illinois at Urbana-Champaign. I have seen the lively and creative exchange among professors and graduate students close up as an invited guest of the History Department, and cannot believe that you would want to jeopardize this learning experience by the inappropriate and misguided criterion of civility. I write further as a Jew, growing up in Detroit during the rise of Nazism and the anti-Semitic sermons of Father Coughlin; a Jew committed to that strand in the Jewish sensibility that still places justice and universal values at its heart; committed to the uses of rabbinical and Talmudic debate, which sought truth by language not always decorous; and to the old tradition of Jewish humor, which put laughter and mockery to the service of helping the oppressed. As a distinguished physiologist, you have surely heard “disrespectful words” among scientists as they argued the pros and cons of research. I certainly have, as I listened to scientists go at it on grant committees, including when the important subject of gender-based biology was on the table. If words thought “demeaning” were uttered, the speaker was not excluded, he or she was answered. The role of vigorous expression is even more central in the humanities and social sciences, where we are examining thought systems and actions that range from the violently cruel to the heroically generous. What, following your Principles of August 22, would we make of the writings of the great François Rabelais, who used every comic metaphor available, especially the bodily ones, to plead the cause of those who had been silenced by the Inquisition or harmed by unjust war? You speak of your responsibility “ to ensure that. . . differing points of view be discussed in and outside the classroom in a scholarly, civil and productive manner.” In the classroom: one of the exemplars of master teaching was the late George Mosse of the University of Wisconsin, refugee from Nazi Germany and historian of the rise of Nazism. His lectures were celebrated for his sharp affirmations and his simultaneous invitation to the students to respond in kind—which they did – and for what one observer has called the “cross-fire” between him and a Marxist colleague. Not surprisingly, he had good friends among both Israelis and Palestinians. Outside the classroom? But surely one knows that “differing points of view” are being discussed by members of your large faculty all the time, using every kind of speech, some of it uncivil and disrespectful. How would one enforce your criteria at the University? By “speech-police” in every classroom, college restaurant, sports arena, and living room? Since this cannot be your intention, I come to the case of Stephen Salaita, whose scholarship, publications, and teaching were reviewed and warmly approved by colleagues, specialists, and university executive committees. You say in your statement of Principles that the “the decision regarding Prof. Salaita was not influenced in any way by his positions on the conflict in the Middle East nor his criticism of Israel.” If this be truly the case, then what could lead you to overturn the well-established evaluation and appointment procedures of your university and (according to the commentary by legal specialists) even hazard a possible lawsuit? Indeed, some of Professor Salaita’s tweets were vehement and intentionally provocative: he used strong language both to criticize the deaths from Israeli bombing and to attack anti-Semitism. The lack of “civility” in some of his tweets is linked to the genre itself: a tweet is often an answer to a tweet, and a tweet always anticipates a response. It is a form of concise communication based on give and take, on the anticipation that the respondent may respond sharply or critically to what you have said, and that the exchange will continue. Thus, in his public political life, Professor Salaita participates in a mode that always leaves space for an answer, thus, extending the respect to the individual respondent for which you call in your Principles. The classroom is, of course, the critical space for assessing a professor’s educational performance, and from all reports, Professor Salaita has been a very successful teacher and much appreciated by his students. Why not accept the careful and extended scholarly inquiry of your University of Illinois colleagues over the hasty and seemingly politicized judgment and fears of the emailers? Further, Professor Salaita would be joining the Department of American Indian and Indigenous Studies, which on its web site commits itself to “free academic inquiry” and “the best ideals of academic freedom.” Why not leave it to the professors in this fine department to insure that a new colleague fulfills the highest goals of teaching? Indeed, the practices of careful listening and full speaking are very much part of the American indigenous tradition. Professor Salaita would thus be in a setting where he could expect to do his best teaching and make the significant contribution to scholarly inquiry hoped for by the University of Illinois professors who have been seeking his presence. I urge you, Chancellor Wise, to rethink your position and to recommend that the Board of Trustees give its approval to the appointment of Professor Salaita. This would be an honorable course, and one that would restore the academic values which should and can prevail at a great university.